Seniors are people over the age of 65. In 2015 they constitute 14.5% of the U.S. population of 319 million. Seniors keep increasing at the rate of over 0.4%/year, adding every year over 1.5 million aged citizens. By 2050 seniors will form over 20% of the entire U.S. population as compared to 9.8% in 1970 and 13% in 2010. 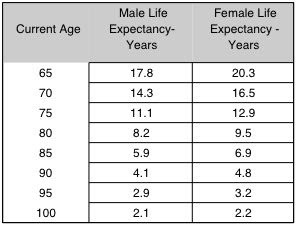 The consequence of such increases in average longevity suggests that retirement planning will have to extend for sufficient funding well beyond twenty years.